"THREE GUNS FOR NEW YORK"
or are you trying to catch a penguin?" Sure, the obvious splainin for this is simple: the correlation between a tuxedo and the basic look for the flightless bird from the Antarctic. "Mary Poppins" played this up with the cartoon waiters in the world created from Bert's chalk drawings. But I veer from the obvious and look for the O'Bvious. In other words, I make my own reality. I think that when we see O'Hara's question in print, the word "penguin" should be capitalized. Being the son of Clancy O'Hara's older brother, Detective O'Hara would have been familiar with Oswald Cobblepot, AKA P.N. Gwynne, the avaricious avian villain who often tangled with Batman in Gotham City. So I think he could have been referring to the Penguin. But there's the problem - "the Penguin". 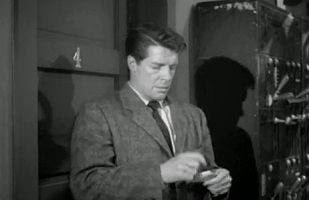 Detective O'Hara could clearly be heard saying "a penguin", which should bring us back to just a general reference to the bird and not the jail bird. However, so much of Life in Toobworld passes by without the chance for the Trueniverse audience to witness it. A show could be canceled, and then there's the events leading up to a show's debut - those characters had lives before it was finally broadcast. And there's the time spent upstaged by blipverts and between weekly episodes. Prime-Time marches on, as it were. Once 'Batman' was canceled after its third season, we lost track of the many criminals who plagued Gotham City during its "glory days" of lawless behavior. Some were obvious recidivists, like the Joker - driven mad by the mutations to his body caused by his immersion into the vat of statuary plaster liquid. Others, like the Riddler and Catwoman, were merely nom de crimes which could have been assumed by anyone. (We actually saw this happen during the course of the series - the Riddler is best associated with Frank Gorshin's Lou Rydell*, but at one point while Rydell the Riddler was in prison, the alias of "The Riddler" was assumed by Gomez Addams after a bonk on the head temporarily turned him evil. As for Catwoman, Selena Kyle was the first to take on that identity. But after her death, she was followed in succession by either a Fallen Angel or the goddess Bastet and then by cat burglar/IMF agent Tina Mara and finally by a woman named Betty who would wind up marrying the detective who officially handled her case for the GCPD, a cop named Jones. As for the Penguin, it's likely that Cobblepot moved away from Gotham City to try his luck elsewhere - we know he was spotted in the Los Angeles area when he went to a supper club performance by a group who called themselves the Monkees. He also could have retired from the crime biz, leaving his alias free and clear for someone else to come along as a new version of the Penguin. 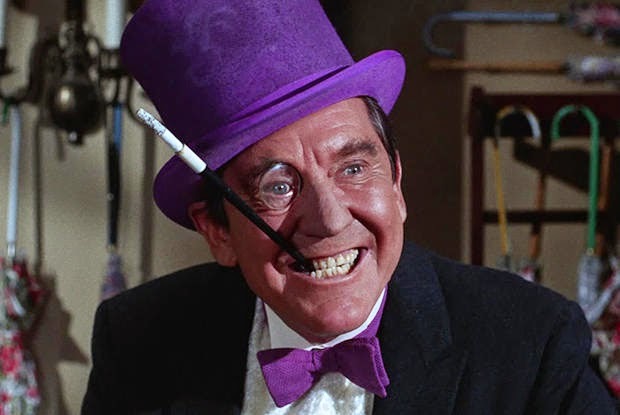 So when Detective O'Hara referred to Broadhurst trying to "catch a penguin", he may have meant one of several criminals who could have taken on the Penguin alias. Sure, it's a stretch. But we've built biographies for characters out of far less. Take TV Crossover Hall of Famer Ellie Swire, who was never seen in any TV show, nor was never even mentioned by name in 'Downton Abbey'! But I feel good with this, almost as if it was destined. I mean - a cop named O'Hara mentioning penguins? It's Kismet! 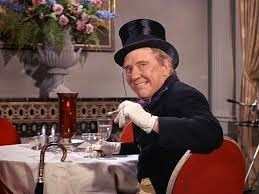 * Thanks to 'Gotham', we now accept that stupid name of Oswald Cobblepot as the Penguin's true name, although we prefer the alias he used back in the 1966 movie "P.N. Gwynne". The reason I'm okay with it now is because of his East European background and the family name originally being "Kappelputz". However, I still reject the even stupider name of Edward Nygma - E. Nygma, "Enigma" - from the comic books and from 'Gotham' for the Riddler. Instead, we claim that the Frank Gorshin character began life in another TV series - 'Alfred Hitchcock Presents' - as a psychopath named Lou Rydell. Rydell to Riddler is a more believable origin for his alias. The general rule of thumb is that a TV character should be the same age as the actor playing him. 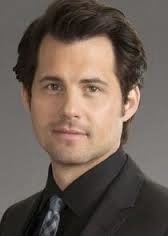 But in this case, I'm going to claim Neidermeyer is about five years older than Kristoffer Polaha. Polaha was born in 1977; for my intents, Neidermeyer was born in 1973, if not earlier. But definitely before the end of the American involvement in the Vietnam War. 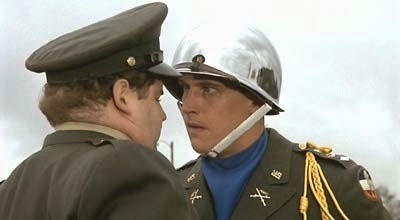 It will be my contention that Peter Neidermeyer's father was Douglas Neidermeyer, who was fragged by his own troops in Vietnam (according to the movie version of "National Lampoon's Animal House". And while that movie cannot be absorbed from the Cineverse into Earth Prime-Time because of the recastaways for several major characters, I'd like to think the fate of Dougie's televersion followed that of the original. Luckily for Peter, his father wasn't around to impart any influence on his upbringing and so he was able to flourish with his own identity and interests in esoteric matters which might have been otherwise obliterated by having a knuckle-dragging, conservative hawk as his father. But let's just say that at some point we do meet the senior Neidermeyer in the remaining episodes of 'Backstrom'. I think I've come up with a splainin to cover up this Zonk which I created. Like I said, I feel fairly confident that this theory of relateeveety won't be challenged during the course of the show's run. But in a way, I'd like to be proven wrong by the show having a longer life. Lieutenant Everett Backstrom and his detectives (Almond, Gravely, Niedermayer, Officer Moto and Tech Specialist Dr. Paquet) work for the Portland, Oregon, Police Department. Detective Nick Burkhardt the grimm and the other cops in his precinct (Captain Reynard, Hank Griffin, and Sgt. Wu) also work in Portland. But their paths are never going to cross in Earth Prime-Time. 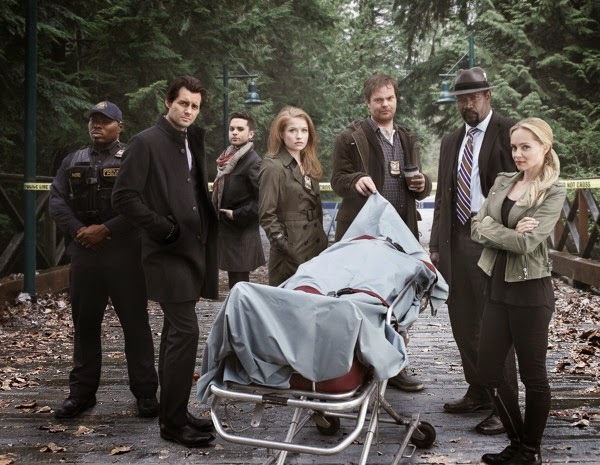 Both 'Backstrom' & 'Grimm' are part of Earth Prime-Time, but both shows have different agendas as well as being on different networks. But we can make it more believable that they are never going to interact with each other. Portland is a major city in Oregon; there's going to be several police precincts. Backstrom and Burkhardt are probably all the way across town from each other. And Backstrom's team is the Special Crimes Unit - they would handle high profile crimes like the Los Angeles 'Major Crimes' unit while Reynard's precinct handles any cases that are called into their squad. But that doesn't mean there can't be some kind of unofficial crossover between the two shows. 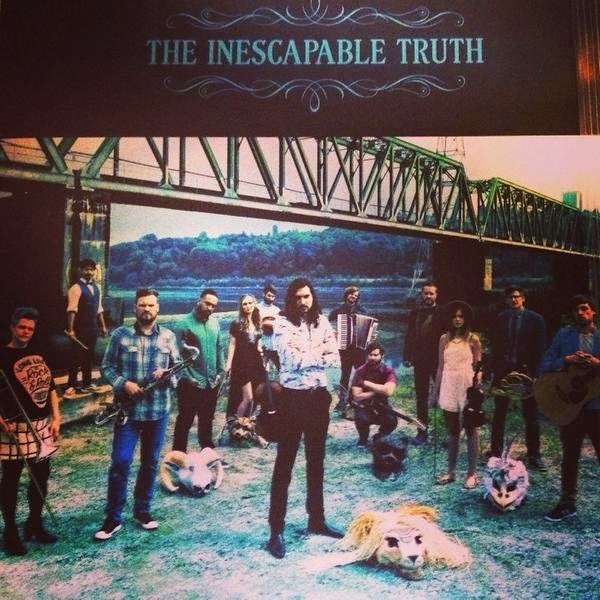 The lead singer of the band Inescapable Truth was found dead after he escaped from rehab. The band was a large ensemble that built on shamanic totems, which included them all wearing animal masks which were supposed to represent their inner animal spirits. 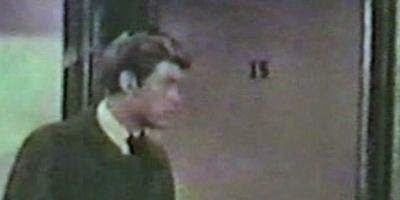 The murder victim, Sebastian Serafian, was "the lion", while his killer was "the eagle". Others were "the bear", "the raccoon", "the ram", etc. But what if the band was subtly broadcasting their own "inescapable truth" with those totems? 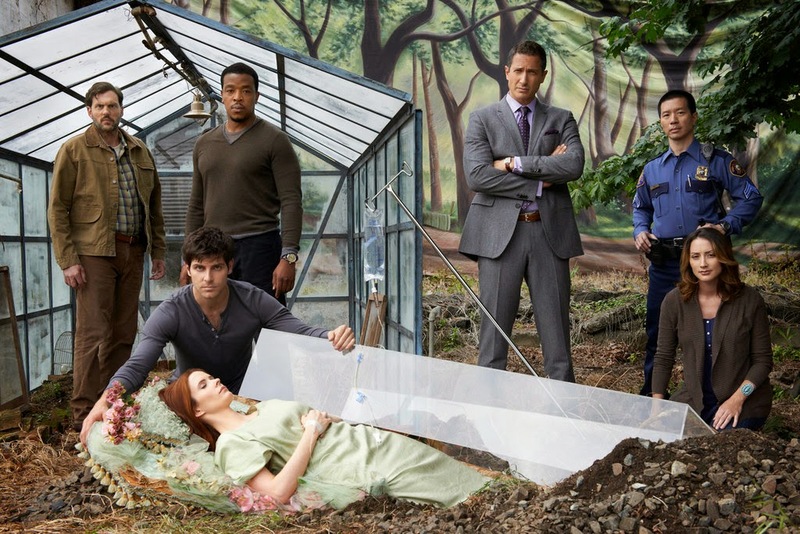 What if they were all wesen, those human/animal hybrids that were the special province of Nick Burkhardt as the grimm who had the special power to hunt them down? A leonine wesen would be of the "Lowen" classification. The murderer was probably a "Steinadler". As for the others, the band members must have included at least one "Jagerbahr" (the bear), a "Waschbahr' (the raccoon), and perhaps a "Ziegevolk" (the goat) acting as the ram substitute. And we weren't made privy to their being wesen because none of the band members woged. And there was no grimm on Backstrom's team through whose eyes we could have had a point of view. It is 4:23:42 p.m. on April 8, 2015. That means it is 4 (month), 8 (date), 15 (year), 16 (hour), 23 (minute), 42 (seconds). We won't see that exact configuration happen again in our lifetime. Next year at least we will be getting a mix 'n' match. NUMBERS RUNNING - JACKIE ROBINSON'S CONTRIBUTION TO "SHARKNADO"? Actually it's from one of the worst TV movies ever made! 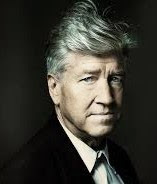 Variety is reporting that David Lynch is walking away from the 'Twin Peaks' revival for Showtime after contest negotiations broke down. So it could be that Lynch used the nuclear option to push Showtime into acceding to his contractual needs. But Showtime may hold fast and press on without his further involvement. 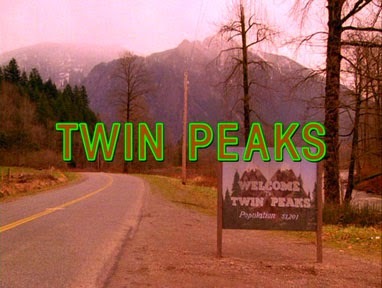 According to the Variety article, the scripts for the 'Twin Peaks' revival are already written by Lynch and co-creator Mark Frost. And there was no mention of Frost's stance on the situation. The fact that Lynch contacted the actors is troubling, because he may have done more than just let them know he was off the project. 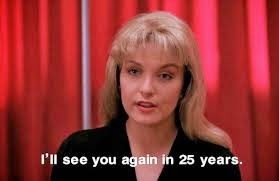 But Showtime announced back in January that Kyle MacLachlan was coming back to play FBI Agent Dale Cooper, so he might already have signed a contact. 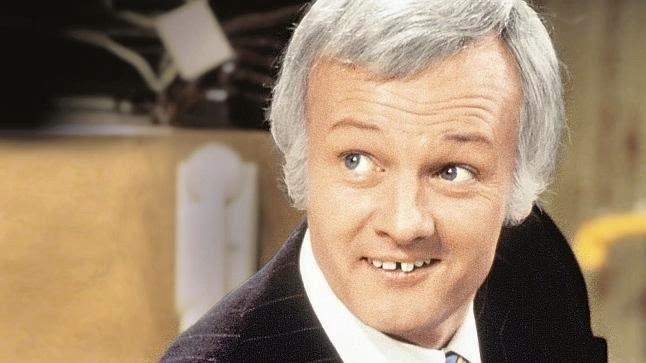 Some of the actors from the original series have since died, including Jack Nance and Dan O'Herlihy, but I would think many of the others would leap at the chance to reprise their roles. Haven't seen much of Michael Ontkean lately, and Daphne Ashbrook can't be filling up all her time with 'Doctor Who' conventions. Many of the actors were willing to appear in the 'Psych' homage episode "Dual Spires" so they might still come back for this project with or without David Lynch. TVXOHOF, 04/2015 - MR. HUMPHRIES, ARE YOU FREE? Probably the longest name in the Hall this year! Mr. Humphries was a salesman in the Grace Brothers' Department Store in London. 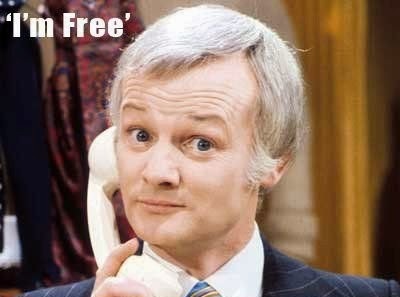 'Are You Being Served?' had the slimmest of basic plotlines and yet ran for two decades. When it comes to a body of work, Mr. Humphries has a big one! 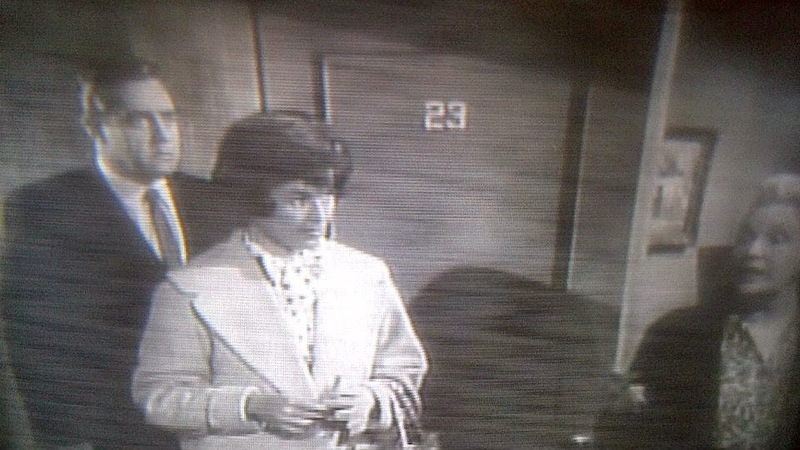 Mr. Humphries gains entry into the Hall without his fellow employees because of Inman's participation in the Austrlian spin-off of the Britcom. 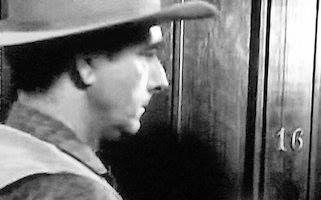 But I could see several of the other cast members finally gaining entry in the Hall eventually from the other options. So welcome aboard, Mr. Humphries! That is... if you're available for membership.....? One of the greatest characters to have come out of 1970s TV - Reverend Jim Ignatowski - made the leap from Earth Prime-Time to the Tooniverse. 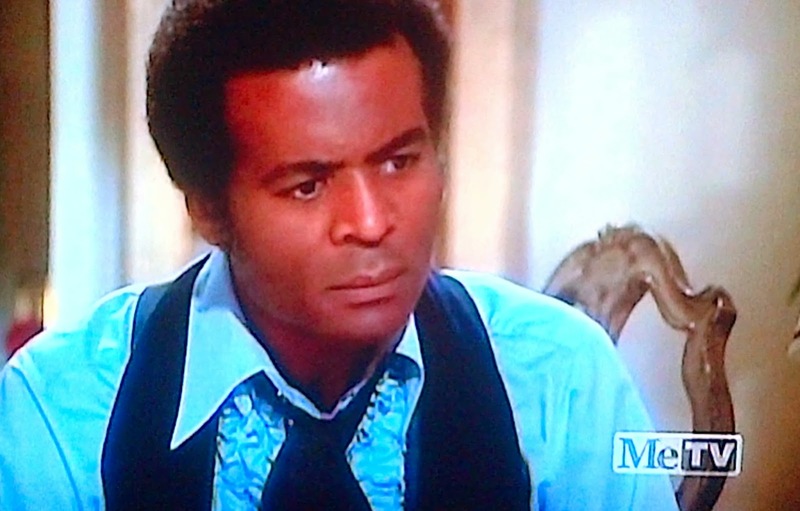 And with that appearance he became eligible for membership in the TV Crossover Hall of Fame. In the story, Marge Simpson went into business for herself by using her family's station wagon as an Uber-like taxi. This put her in the cross-hairs of the taxi drivers in Springfield. And it was Reverend Jim who led the drivers against her. His first major scene as a regular has since become an iconic bit of funny business that is still imitated today. In all, Reverend Jim appeared in 84 episodes of 'Taxi' which is a nice haul, but with his dimensional crossover episode that still isn't enough to qualify him for membership in the TVXOHOF. 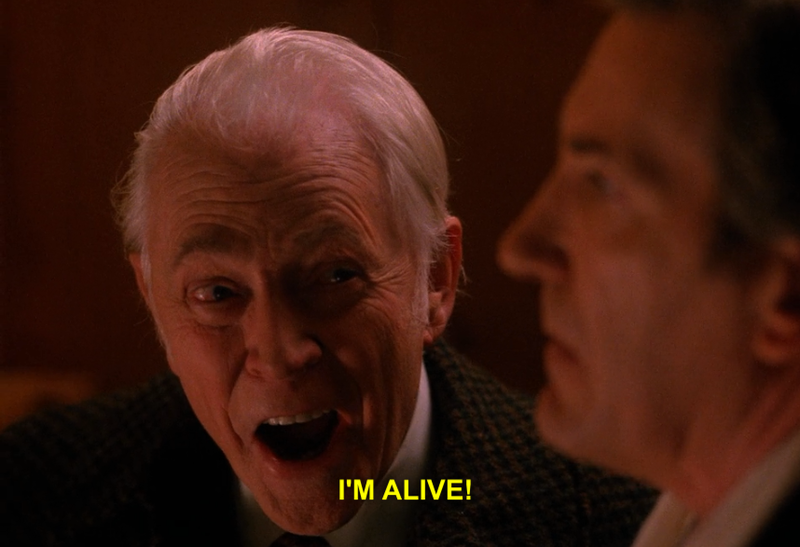 He's also kind of scary, which might be what happened to him after ingesting all of those drugs after so many decades. 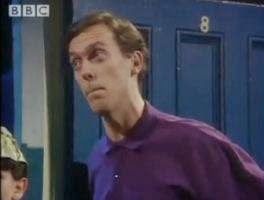 This year we're inducting British TV characters into the Hall, but I see no reason why Jim couldn't make it in next year for the April Fool's edition!